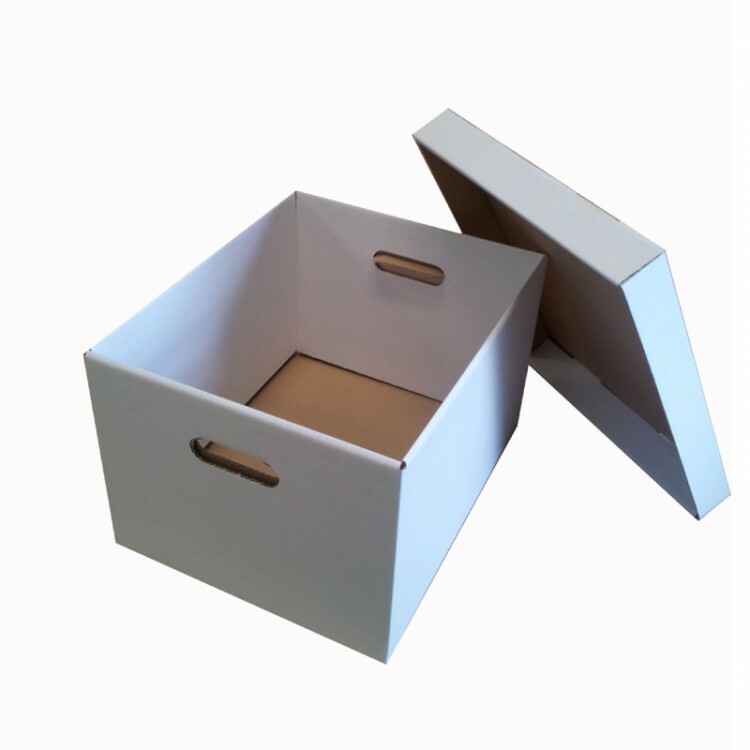 Archive Box and Lid - Size: 16x13x10"
Organise your workplace with these sturdy, handy and durable Archive Boxes. Our Archive Boxes are the perfect choice for use in offices, factories and other commercial setups. Primarily ideal for archiving your paperwork, files and offering a low cost filing solution. Customers have also stated these archive boxes are a great size for shipping your Christmas hampers! The robust, self-locking design allows for the boxes to be neatly stacked together in your office, garage or loft. Cut out handles make the box convenient to lift and manoeuvre. The plain white finish enables you to mark or decorate the box as you see fit. The Archive boxes are supplied flat-packed and easy to assemble offering you the perfect long term storage solution.